The world of finance is newly awash in fintech — the financial software services that leverage state-of-the-art technologies — and MasterCard is jockeying for a larger market share. Many startups are banking on fintech, a term comprising “finance” and “technology” that has become a buzzword. The new sector is raking in billions of dollars and may be viewed as a threat by some established financial institutions. 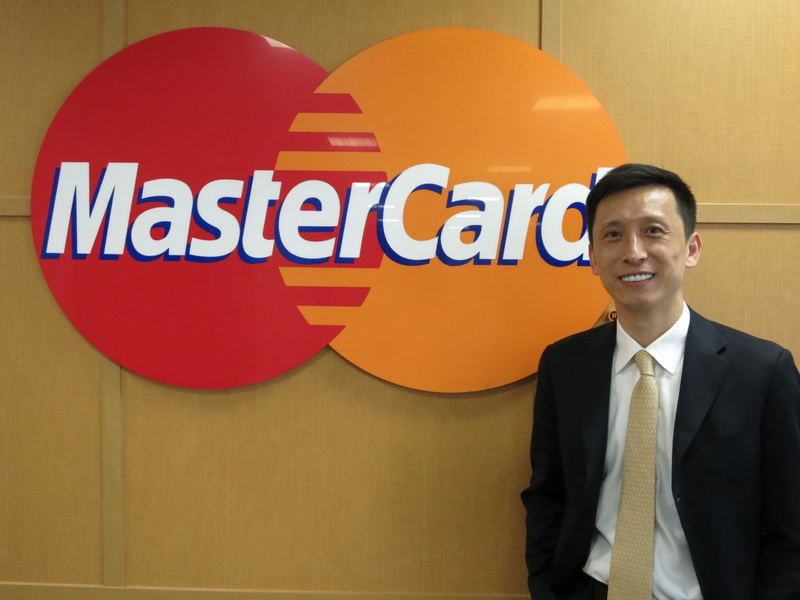 MasterCard sees fintech as an opportunity for investment and partnership to expand its electronic payment network worldwide. “I see (fintech) as an area of continued growth and development. 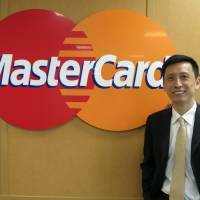 You’ll see a lot of investment (from venture capitals and other firms) into this area as well,” said Ling Hai, co-president of MasterCard’s Asia Pacific region, in an interview with The Japan Times earlier this month. On top of investing in fintech firms itself, MasterCard hosts a six-month mentoring program called Start Path to foster fintech startups, an apparent effort to identify early winners with the potential to become dominant players in digital commerce. Among them is Moneytree, a Tokyo-based startup whose app lets users track their financial account balances. According to U.S.-based consulting firm Accenture, fintech investment in the Asia-Pacific totaled $3.46 billion for January to September 2015, about four times the amount for all of 2014, with many firms developing services ranging from financial planning and bitcoin exchanges to social lending. As to whether Apple Pay, Android Pay or cryptocurrencies such as bitcoin will win consumers over, it’s anybody’s guess, so there will be lots of experimentation, Hai said. “What we want to do is to participate in the testing and learning,” he said, adding that the firm is a “technology company” that provides a global network for electronic payments. MasterCard itself does not issue credit cards, but makes money by charging credit card issuers, such as banks and other firms, for using its global network. In Japan, where credit cards and other electronic payments have been slow to catch on compared with Western countries, Hai said there was still huge potential for growth. According to Japan Consumer Credit Association, there were about 267 million credit cards in Japan as of March 2014 but that total accounted for just 15.6 percent of all transactions in the country that year. There are two ways to interpret the data: Either there is promising room for electronic payments to grow, or the Japanese people are still too fond of using cash. But if Japan is’t suited to the credit card, there are other choices, including debit cards, Hai said, while calling for public transportation operators in the country to become more credit card friendly. JR East’s Suica card is one example of contact-less payment, he said, but a system where people can pay directly with IC chip-embedded credit cards or debit cards would be even more friendly to international visitors amid Japan’s push to increase tourism. Meanwhile, criminals use cash to buy illegal products, he noted. Yet electronic payment is not without its own problems, including global credit, debit and other payment card fraud losses in excess of $16 billion in 2014, according to the Nilson Report, which also expects that card fraud losses will increase in the coming years. But the vanguard of fintech, including technologies such as biometrics and blockchain, could reduce losses due to fraud, Hai said. “When you think about new technologies that are being developed and have come to the market, I’m very optimistic that the fraud level will continue to go down,” he said.